The Healthy Parks Plan will be carried out from January 2018 through April 2019 in three overlapping phases. The first phase of the project will focus on community engagement, and will include steering committee meetings, interviews and focus groups, speak out events, a telephone poll, and community workshops. The second phase of the project will involve an analysis of park resources, access, and quality, as well as a study of community health and equity in the three counties. This process will culminate in the creation of a decision-support tool and detailed recommendations for strategic park improvements and programming. The third phase of the project will focus on communicating the plan’s results. 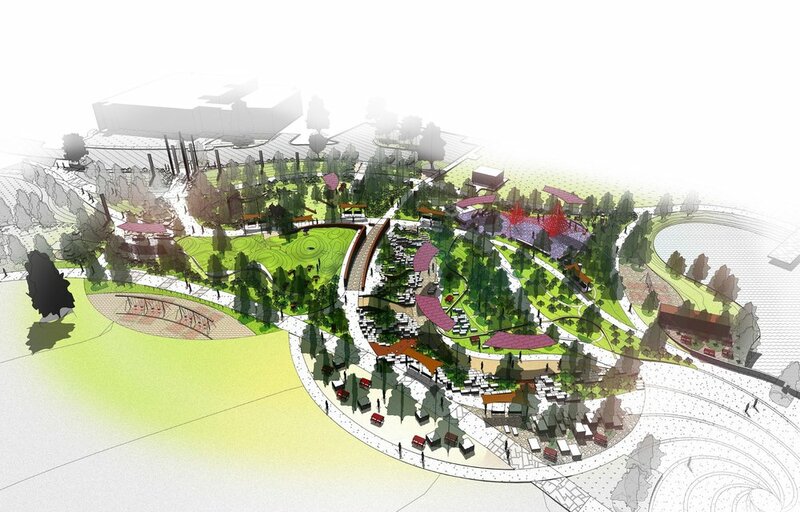 It will involve the creation of an interactive online story map, a summary report, a brochure, health-focused design standards for local parks, and several conceptual park designs. The first phase of the project, Community Engagement, will focus on hearing directly from residents. Large community meetings will provide a venue for residents to share their overall vision for the project, while speak-outs at public events and surveys of park users will attempt to meet community members where they are. Online surveys and telephone polls will also allow residents to contribute input from their own homes. The second phase will involve an analysis of local park need and an assessment of opportunities for improvements. The best data will be used to analyze park resources, access, and quality, as well as community health and equity in the three counties. This process will culminate in detailed recommendations for strategic park improvements and programming, as well as the creation of an online decision-support tool, aimed at helping local stakeholders make informed decisions about park investment in their community. The third phase of the project will focus on communicating the Healthy Parks Plan's Results. The plan's process and final recommendations will be described in a detailed summary report, as well as a shorter brochure and an interactive online story map. In addition to large-scale recommendations, the plan will include health-focused design standards for local parks, and several conceptual park designs.